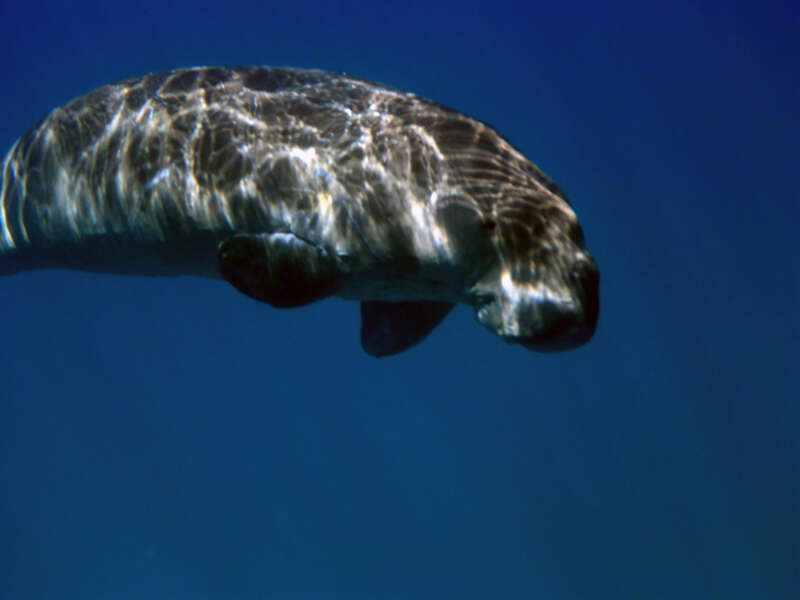 Journey into Dugong country in the morning and paddle a sea kayak for a closer look at the mammals’ habitat in the afternoon. 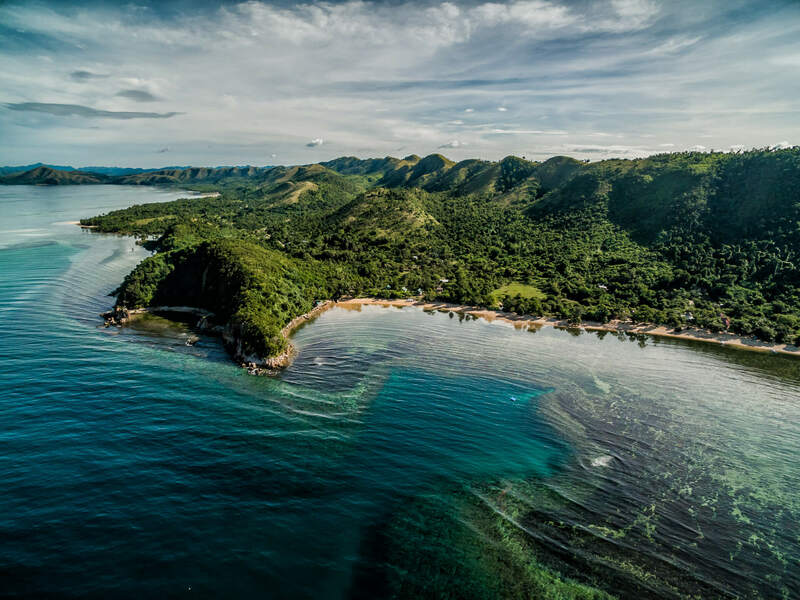 This day tour takes you to northern Busuanga’s Dugong Bay, so named by the people of the Cheey area because it is home to over 30 dugongs – the largest family of sea cows in the Philippines. You’re out on the sea soon after dawn and a light breakfast. With the water like a mirror it is easy to spot the tell-tale bubbles on the surface. 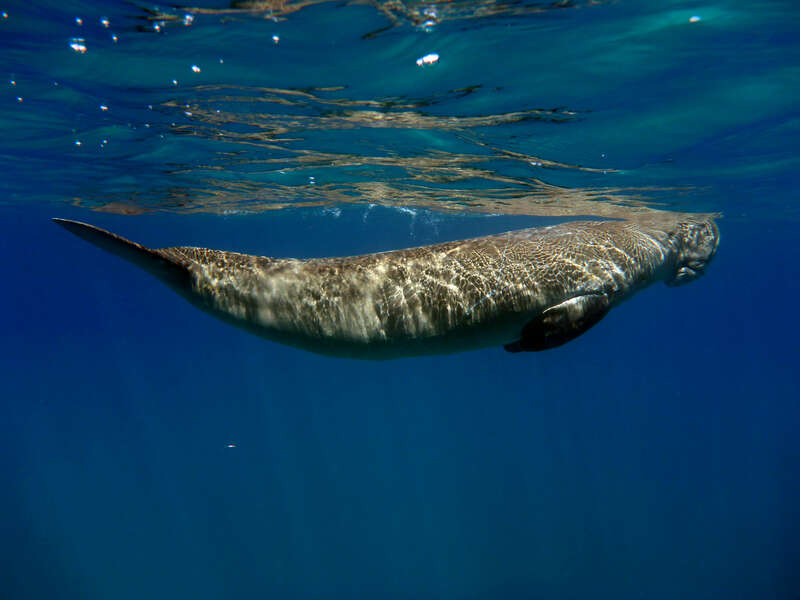 You’ll see the head rise and just as quickly the dugong ducks under to feed on sea grass or to move on to a more distant grazing area. 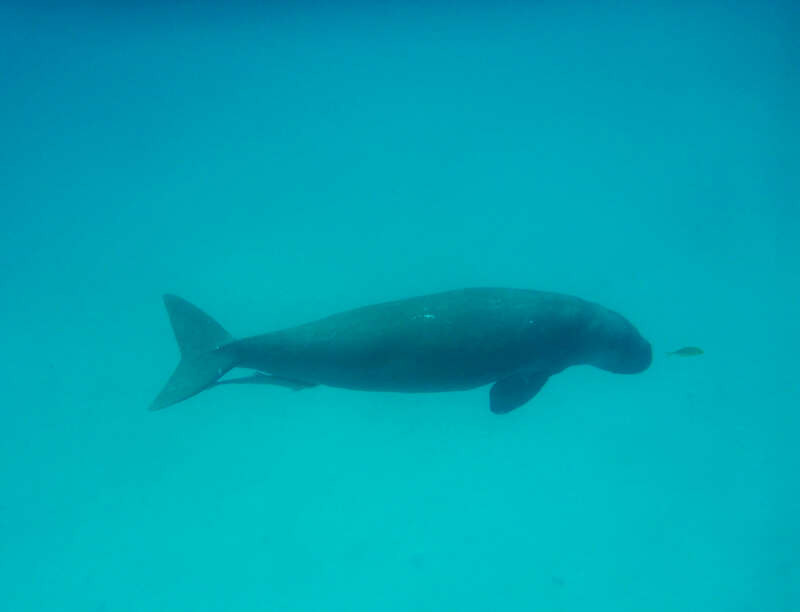 Snorkels and masks are at the ready for a gentle encounter with the sea cow. 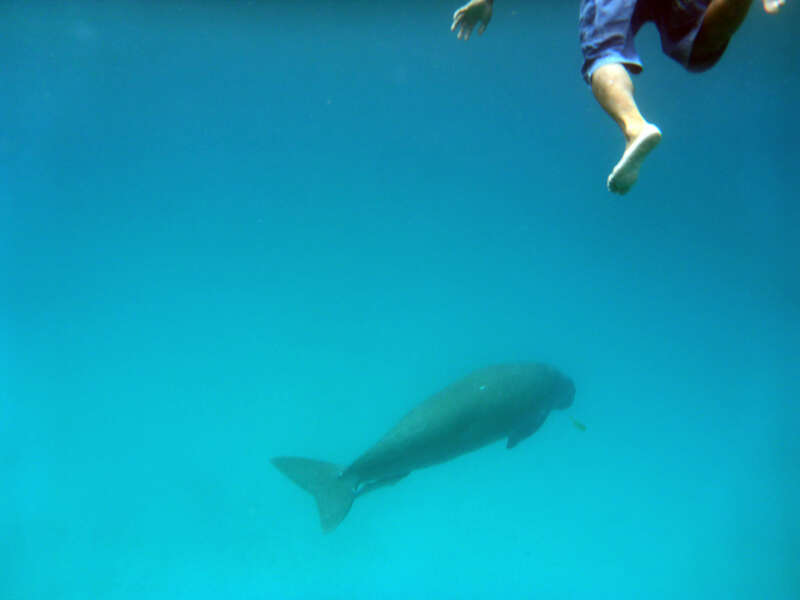 Some dugongs shy away, giving guests only a few minutes or seconds with them, while others can be playful and hang around while you swim with them. 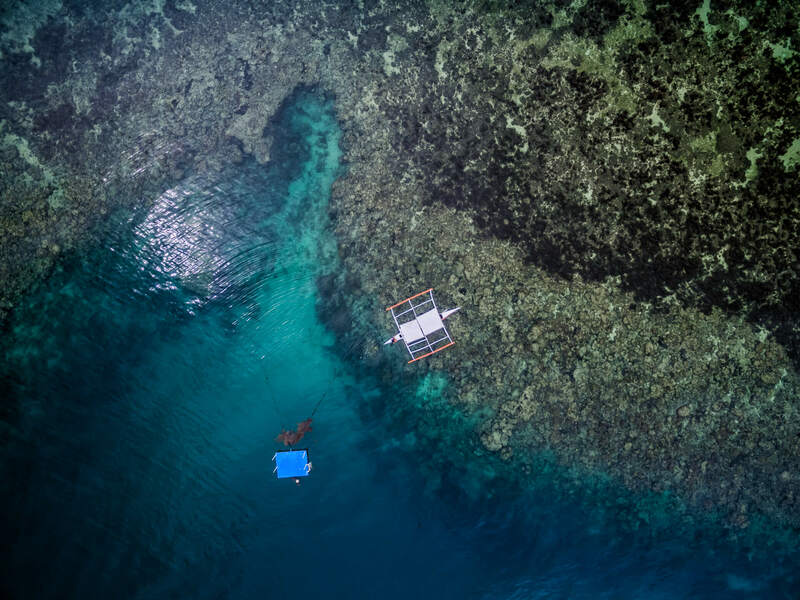 Spotting dugong isn’t guaranteed, and when there’s no encounter there’s the beauty of the coral reefs, turtle and fish as consolation. 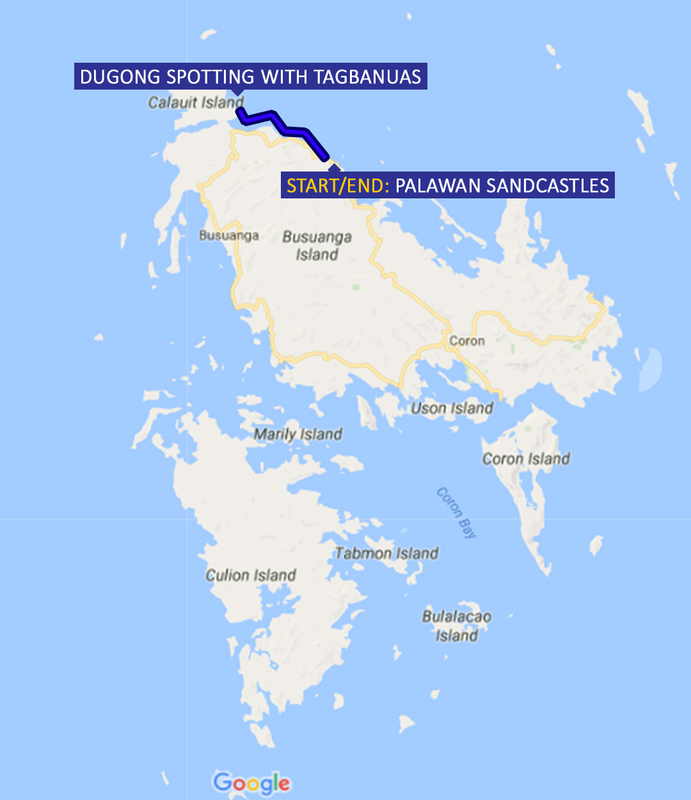 Paddlers return to Palawan SandCastles for a hearty brunch and a rest before setting out to paddle Dugong Bay, visiting nearby islands and sandbars, snorkeling the surrounding coral reefs. On the trip we may also visit, estuaries, rivers and caves, as well as a very special seasonal nesting islet for the Arctic tern. 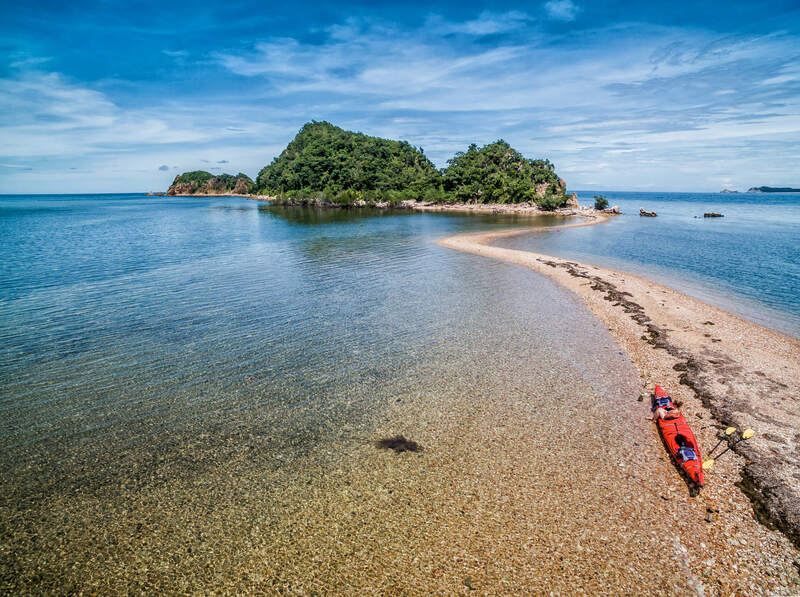 If after the morning session of dugong spotting you feel that you have had enough time on the water, you can choose to skip the afternoon paddle and get on a mountain bike. Your guide will take you to blast through single tracks, streams and rivers, exploring the nearby community and meeting some of the residents to get a glimpse into local life. Arrive back at Palawan SandCastles for brunch. 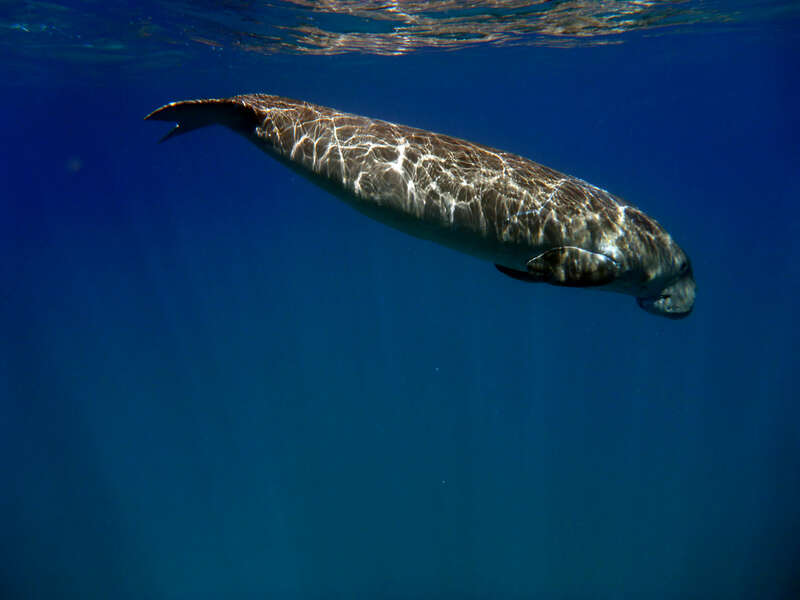 Either paddle Dugong bay and nearby islands, visiting sandbars and snorkeling reefs in the bay, or explore the local community by bike, blasting through narrow paths and rivers. provisions and extra drinking water. (A 500 peso discount applies if you bring your own bike).